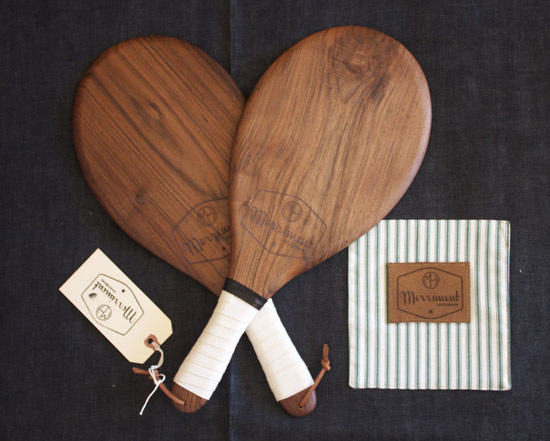 At first glance, I thought I was looking at a fancy set of ping pong bats, but no these gems are Frescobol paddles for the Brazilian paddleball beach sport, Frescobol. Maybe it would help if I went to the beach more often, but all is good - I now know and also now want to own a set. Beautifully handmade in San Francisco by Merriment Hardware , each one is crafted from reclaimed quality hardwood, while sending 10% of profits from sales to the California State Parks Foundation.